It remains active as an archive, and is still being monitored by admin periodically. See Forum News and Announcements for further details. Thanks for the memories! Which board do you look in to find a particular skater's thread? 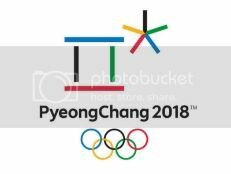 A Read-Only list of the skaters on the most recent US National Team (or Olympic Team as the case may be) - with links to their permanent threads here on BB. News, photos, archives and comments for our Short Track OLYMPIANS. 49 984 Keith Carroll, Jr.
News, photos, archives and comments for skaters who have (at any time) achieved Category 1 status, but have never been members of the Junior or Senior National Team. 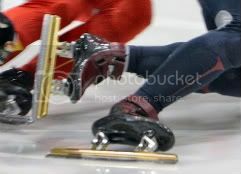 News, photos, archives and comments for AmCup-Group 1-level skaters who have not yet reached Category 1 status. Watch these young/high-achieving skaters - which ones will be future Olympians? Trip planning info and other chat for upcoming Short Track events - join your fellow ST fans for some GOOD TIMES! Here's where you'll find all of the results and/or chat threads from prior seasons. 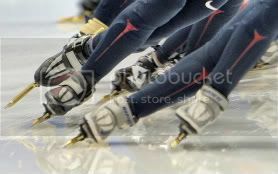 Is your USA short track topic NOT about a specific skater? Talk about it here! Here's where you can find our skaters' (and clubs') personal fundraising initiatives, as well as classified ads for short-track-related items. When our USA skaters aren't racing, we're often cheering for our Canadian favorites - chat about them here! We love our long-track'ers and their fans, too... here is a place for y'all to chat! General Chat - talk about any non-skating topic that interests you. Guests (unregistered members and un-logged-in members) can post comments and contribute info in this area.